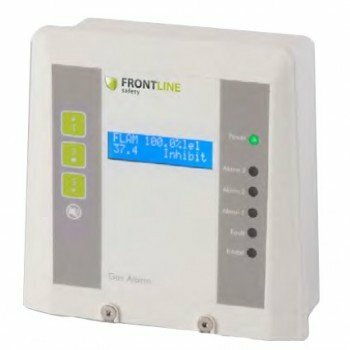 The Frontline 101 is a fixed single point alarm unit and is ideal for use in a wide range of environments. This may range from commercial premises to heavy industrial applications which require hazardous area sensing. 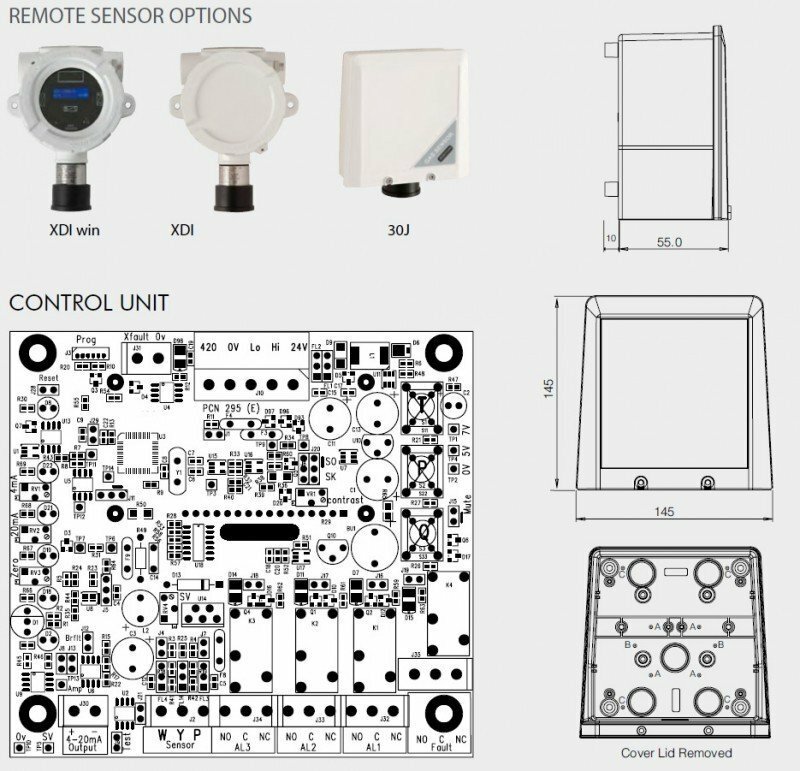 It is an economic and reliable way of monitoring gas levels and can be used as a standalone system or as an addressable sensor (forming part of the Frontline Combie CANbus addressable network system). The Frontline 101 can be easily mounted in an accessible position and depending on the type of sensor, will be positioned where the gas type requires. For more information on the installation requirements and the initial set-up procedures please contact our Service Team. The Frontline 101 features a datalogging functionality and three alarm stages. The single point alarm unit is weatherproof and has a full alpha numeric status display which is back lit for easy visibility. The front panel can be removed to allow access to set up and maintain parameters. You also have the option of selecting an internal or remote sensor or an aspirated sensor.